Acrylic Cake Frosting Smoothing Disks, are used by cake decorators to easily achieve perfectly smooth frosting edges on cake tiers. Allowing the decorator to create a perfectly smooth finish on cakes with buttercream or ganache, that are then finished with buttercream decorations or covered with rolled fondant. 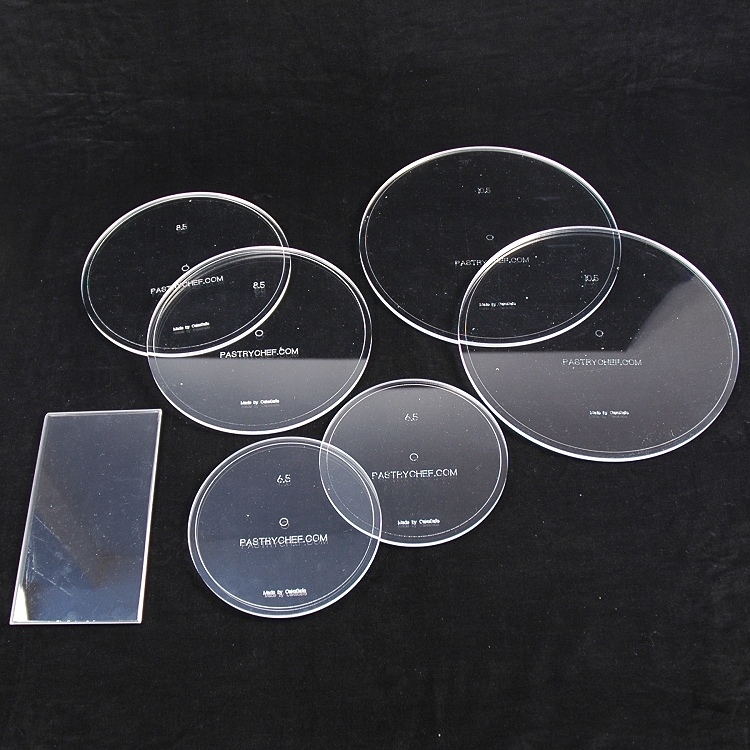 Depending on how thick you want your frosting to be, these disks are available in two width sizes: Each $48.18. 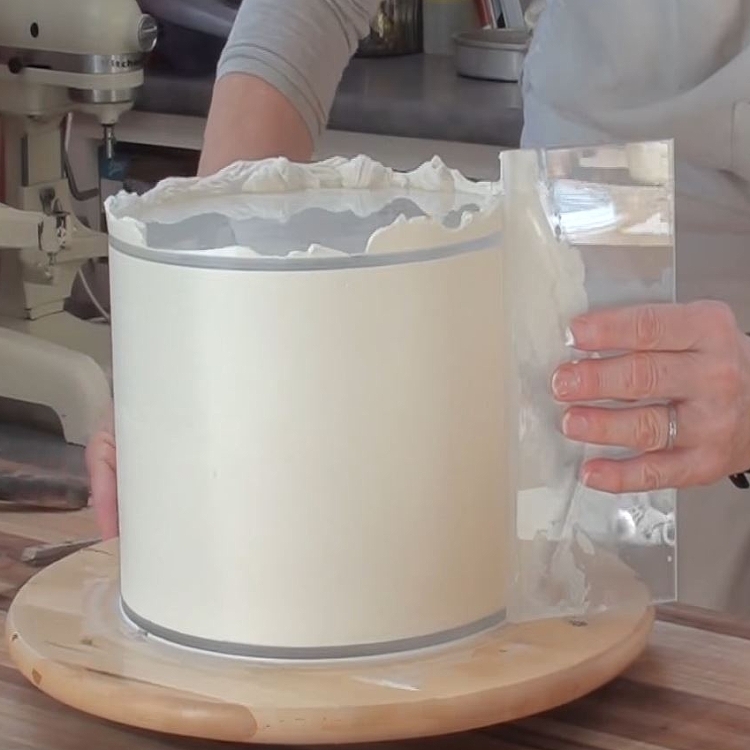 • .25 inch disks will allow for 1/8" of frosting around the cake. Three of our most popular sizes 6", 8" and 10" rounds ( 2 disks of each size included "top & bottom" ). Each disk is engraved with its size. Each disk is engraved with a center marking and line around the edge to help you center your cake. Made of clear 1/4" Plexiglas. 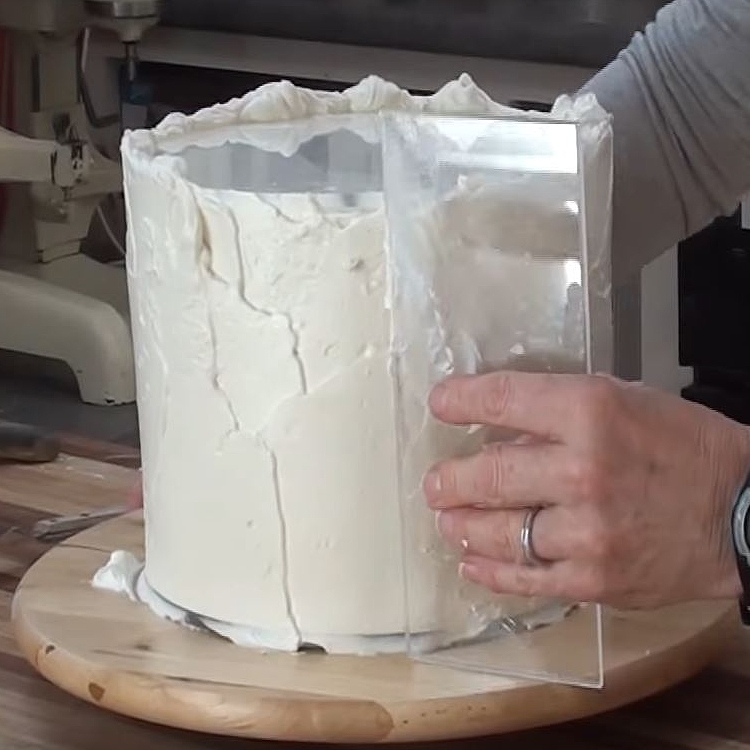 .25" sizing is for cakes that will be covered in fondant and will give a 1/8" layer of frosting around the cake. 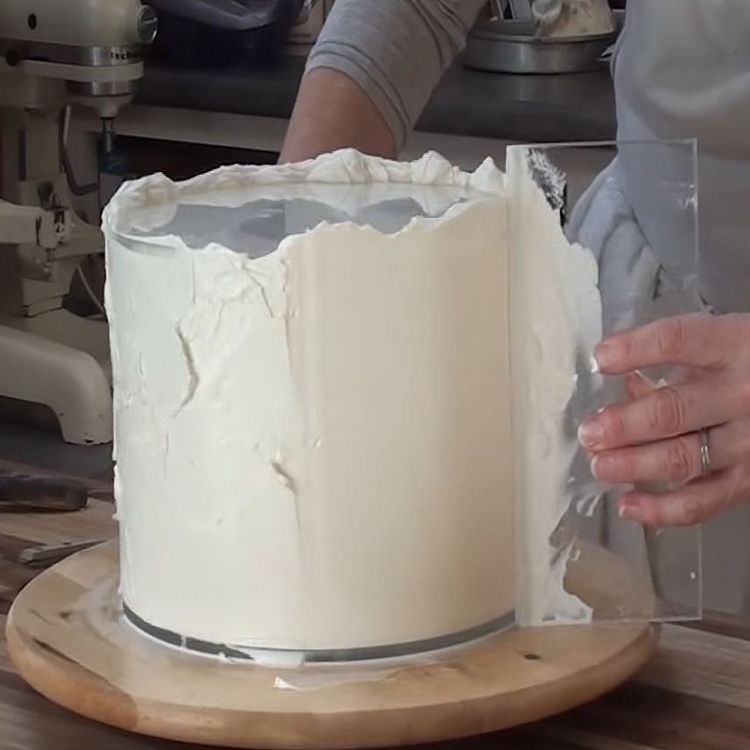 This sizing is also preferable if you are not covering in fondant, but have cakes that shrink. .5" sizing is for cakes that will not be covered in fondant and will give a 1/4" layer of frosting around the cake. note: sometimes disks will have tiny scratches acquired during the manufacturing process--these do not affect the use of the disks in any way and are merely cosmetic.